OC LUX PROPERTY! CUSTOM CONTEMPORARY REMODEL positioned with a panoramic view to the 17th fairway of OC's top rated Mission Viejo Country Club Golf Course! Property is one of only 95 homes in this highly desirable, unique Madrid Fore neighborhood! Located on a single-tier street; front view of park + backyard view of golf course = MORE PRIVACY! Enjoy this resort-style living in a modern home feel. No expense spared here with new, high end finishes throughout. Trophy home entails: Hand-scraped engineered hard wood floors throughout, MARBLE countertops, fireplaces, showers and backsplashes throughout! Completely re-piped with PEX piping, new tankless water heater, updated electrical with new fixtures and new recessed LED lighting throughout, and all interior ducting has been replaced! Beautifully stained horizontal front door & wood fencing all new! Low maintenance zero-scape landscaping! 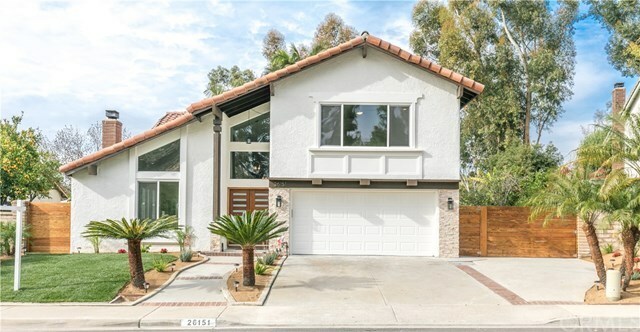 One of the lowest HOA fees of all of South OC! Move-in ready!! Directions: Off I-5 FWY, Exit OSO (Eastbound), Turn LEFT on Montanoso, LEFT on VIA MARINA, Curve RIGHT on VIA OCEANO, Home is on the LEFT after park. Based on information from California Regional Multiple Listing Service, Inc. as of 2019-04-24. This information is for your personal, non-commercial use and may not be used for any purpose other than to identify prospective properties you may be interested in purchasing. Display of MLS data is usually deemed reliable but is NOT guaranteed accurate by the MLS. Buyers are responsible for verifying the accuracy of all information and should investigate the data themselves or retain appropriate professionals. Information from sources other than the Listing Agent may have been included in the MLS data. Unless otherwise specified in writing, Broker/Agent has not and will not verify any information obtained from other sources. The Broker/Agent providing the information contained herein may or may not have been the Listing and/or Selling Agent.